The construction industry is one of the most dangerous in the United States. The Occupational Safety and Health Administration (OSHA) reports that nearly 6.5 million people work at nearly 252,000 construction sites across the country on a given work day across the country. The fatal injury rate for workers employed in the construction industry are higher than the national average for all other industries. Every day construction workers are exposed to many hazards. Employers are bound by OSHA rules and regulations, which are designed to protect the safety of American workers. 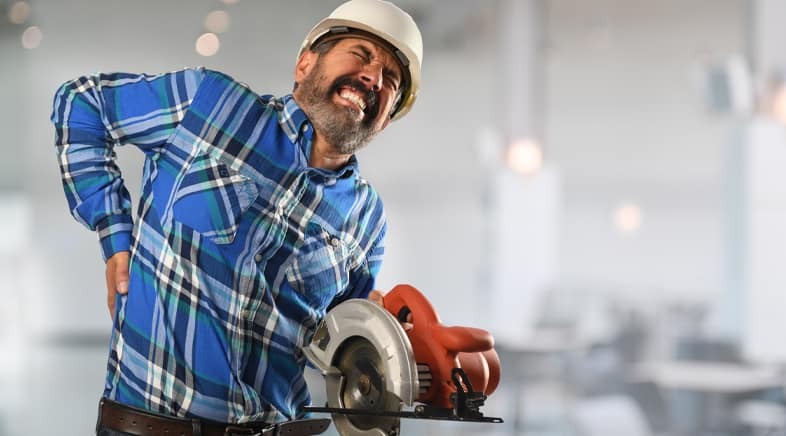 When workers are injured on the job, they may be able to file a workers’ compensation claim, which covers a partial wage replacement benefit and medical expenses related to the occupational injury or illness. If the injury was caused by a violation of an OSHA regulation, the employer may also face steep fines and citations. At Plaxen & Adler, P.A., our Baltimore workers compensation lawyers have helped countless workers like yourself navigate the complexities of filing a workers’ compensation claim for a serious workplace injury. If you should find yourself in a dispute with your employer’s workers’ compensation insurer, or the Maryland Workers’ Compensation Commission, we will represent your interests and do everything within the constraints of the law to make sure that you get the compensation you deserve. Our Baltimore workers’ compensation attorneys have helped construction workers who have suffered traumatic brain injuries, back injuries, severe burns, amputations, broken bones and lacerations obtain compensation for their injuries from construction site accidents. Can I file a personal injury claim aside from my workers’ compensation claim? Above and beyond the workers’ compensation that you are entitled to as an employee, depending on the circumstances of the incident, you may be able to take legal action against other parties that caused or contributed to your injury. For example: Your workplace injury was caused by a forklift rollover accident, and it turns out that the forklift was defective. You may be able to file a products liability lawsuit against the manufacturer of the forklift. In order to prevail you must be able to prove that the equipment was defective, you were using the equipment properly and that the equipment’s defect caused your injury. While you will receive partial wage replacement and medical expenses from workers’ compensation, you will not receive compensation for your pain and suffering from the accident. In a successful products liability claim you would typically receive full wage replacement and compensation for any diminished earning capacity due to the residual effects of the injury. At Plaxen & Adler, P.A., our Baltimore workers’ compensation attorneys can help make sure that you get all of the compensation you deserve by thoroughly investigating the workplace accident to uncover all of the factors that contributed to your injury. We look for OSHA safety violations, defective of malfunctioning equipment, and anything else that might have played a role in the accident. We have represented many workers over the years. We have protected their rights to receive all of the benefits to which they were entitled. When there is a dispute with the insurance company, or when you want to file a third party personal injury lawsuit, we are here to help. Put our more than 30 years of legal experience to work on your behalf. If you have suffered an injury in a workplace accident, you are welcome to call the Maryland workers’ comp attorneys of Plaxen & Adler, P.A., at 410.988.4449 or fill out our contact form. We have offices in throughout the state of Maryland. We offer free initial consultations and a flexible appointment schedule. Reach out to us to learn more about how we can help you get the benefits you require.